As a mom I want my family to drink the best water there is. I grew up drinking tap water. I have always been very picky about the water I drink. Matter of fact it is one of the things I do first when checking out places to live. Luckily I haven't had to check out water in years as we have been in our currant house for a long time now. 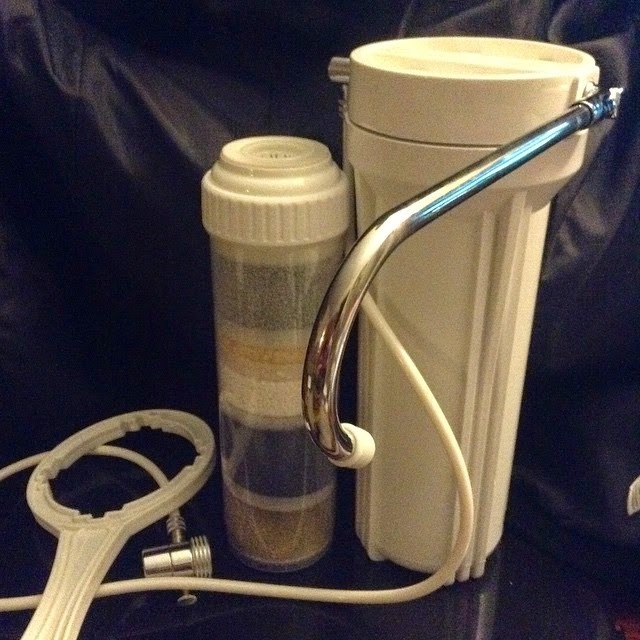 Even though the water tastes fine to me I insist on having a water filter, just in case. The house we rent is very old and I am sure somewhere in this house there is lead, but we just haven't bothered it or it was taken care of long before we moved in. the water goes through before it ends up in your body. 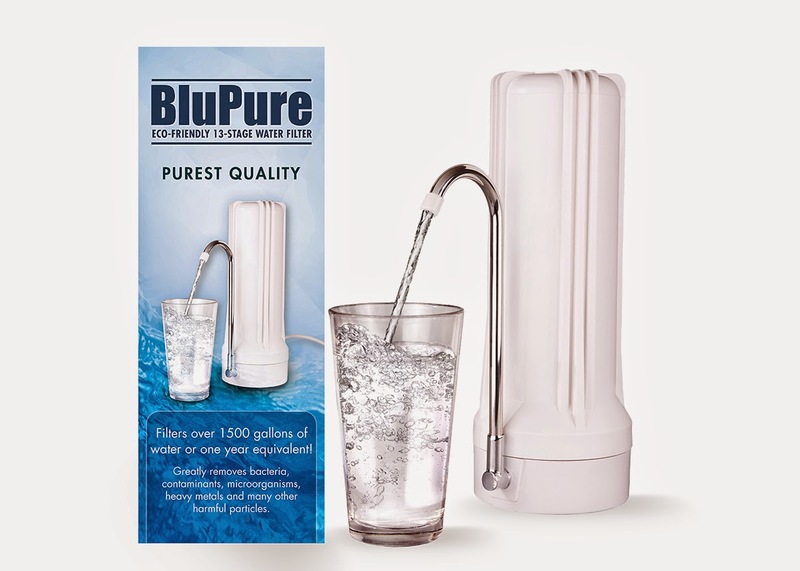 You can purchase the Blupure ecofriendly 13 stage countertop water filter on Amazon. What Blupure has to say about their product.